Expert witnesses are often essential to proof of a claim or defense. Some claims, like medical malpractice, will rarely succeed unless they are supported by expert testimony. Proof of damages may depend on the testimony of physicians or economists. Other claims and defenses can be bolstered by credible testimony provided by engineers, forensic scientists, psychologists, and a variety of other experts. When expert testimony is important to a party’s case, how does a lawyer go about choosing an expert witness? Trial attorney Quentin Brogdon shared his thoughts on the question in a recent issue of Texas Lawyer. Ethical lapses in other cases. A history of professional discipline. A court found the expert to be unqualified. Willingness to testify in many areas of alleged expertise. No history of using expertise as anything other than an expert witness. Overreaching promises about the results the expert will help the lawyer attain. Some experts are difficult to work with, simply because they overestimate their importance to the case. Experts who bombard a lawyer with emails, unreasonably demand that scheduling orders be changed so they have more time to prepare reports, or second-guess trial strategies might be more trouble than they are worth. Conversely, experts who communicate well, who are modest, who have a realistic sense of what they can contribute, and who are committed to providing unbiased testimony are likely to win the admiration and respect of juries. Those experts help lawyers win favorable verdicts. Brogdon suggests thirteen questions that lawyers should ask during the initial interview with a proposed expert. The questions provide valuable guidance to lawyers, but they also give experts an idea of how to prepare for that interview. Some questions seek information about the expert’s training and experience while others address the issues identified above (such as whether the expert has ever been disciplined or disqualified and whether the expert will be able to meet deadlines established in a scheduling order). Are you the best expert for this issue? An honest expert should recognize when the issue is beyond the scope of the expert’s realm and should be prepared to explain why an expert with different experience or qualifications might be better suited to address the issue. What testimony, documents, and information will you need to formulate and support your opinions in this case? Experts base opinions on facts. They might find some facts through independent investigation, but other facts will need to be provided by the lawyer. Experts should be able to explain what they need so that the lawyer can make appropriate discovery requests to uncover the facts that will drive the expert’s opinion. Do you have any misgivings about this case? If the expert fears that he or she will not be able to form an honest opinion that supports the party’s claim or defense, the lawyer needs to know that as soon as possible. Have you ever testified for or against the opposing party (or been hired by the lawyers representing that party)? 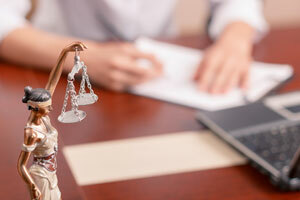 Prior experience with a party or the party’s lawyers might present a conflict of interest. If the expert obtained confidential information in the course of that employment, the adverse party might move to disqualify the expert to assure that the information is not used against the party in the current litigation. Are there other types of experts with whom you typically work in these types of cases? There’s nothing wrong with a team approach to expert testimony since no one person can be an expert on all the issues that might arise. For example, in a products liability case, a product design expert might need to work with a metallurgist to determine whether a product defect was caused by poor design, improper materials, or both. The sooner the team can be identified, the more quickly the lawyer can move forward with the case. Finally, Brogdan recommends asking “pointed Daubert-based questions.” Even if the Daubert standard does not apply in the jurisdiction where the expert will testify, the lawyer will need to understand how well the expert will withstand cross-examination. The lawyer needs to know about the methodology the expert will use to arrive at an opinion, whether that methodology is widely accepted, whether it has been subjected to peer review, and whether it has a known error rate. Asking the right questions helps lawyers find the right experts. Anticipating and giving prior thought to those questions helps experts prove their value to attorneys.